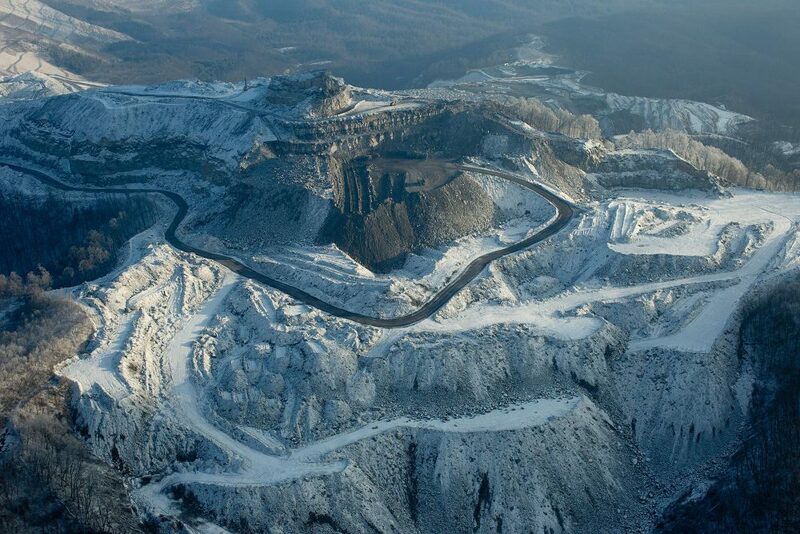 The Pax coal mine in West Virginia. We have been witnessing with dismay the contention among our fellow islanders around the MAV wind project, and would like to voice our thoughts. Sadly, we are seeing some ally themselves with those who are philosophically against any investment in all forms of alternative energy. It has been empirically proven that if we don’t stop our dependence upon fossil fuels immediately, we are doomed as a human species. After much consideration, we have decided to publicly support the proposed MAV test site if it contributes to the greater good. We fear that our silence may be misconstrued as apathy or misappropriated into someone’s agenda. We truly believe that UMaine and MAV have tried their best to consider the interests of all Maine residents into as much of their project as possible- From offering benefits to Monhegan Island, to choosing manufacturing materials and techniques that enable much of the project to be made in Maine. Any judgment that UMaine and MAV are less than honorable because they receive government subsidies is not relevant. The US Fossil Fuel industry receives an estimated $37.5 Billion annually in government subsidies*. Only Maine and some of the California/Oregon coastline (averaging 22MPH) have the best wind for generating off shore wind power. If this test succeeds, it will enable wind farms to be built off shore (not in Monhegan waters, and not all over the land.) It would be a step in the right direction to help curb the $6 Billion that leave the state of Maine every year, flowing directly to the Oil companies. We believe that the benefits of this project outweigh the potential consequences. We believe it will contribute to the long term sustainability of the island by providing high speed internet to those who depend upon it for their livelihoods. We believe that tourism will remain the same if not increase. As artists, we will continue to paint the landscape, and will either edit our view or not, depending upon our artistic vision, just as all artists have done throughout history. Everything we do as humans is going to disturb the environment in some way, but when one sees images of devastation happening every day in the name of fossil fuels (West Virginia, see image above), one must conclude that wind turbines could not possibly do as much harm. How many species of plants, wildlife, including humans- not only birds- have been exterminated by these antiquated, primitive, exploitive activities? Surely it would horrify us if we actually knew. But if we can’t see it happening from Monhegan, that makes it OK, right? We implore you to consider the fragility of alternative energy pursuit in the current political climate, and do what you can to support it, not impede its progress. In publicly sharing our views, we trust that our community is strong enough to respect and appreciate that we are all motivated by a sincere love for Monhegan. If some are opposed to our position, it is our sincere hope that we may agree to disagree in a mature, civilized manner.